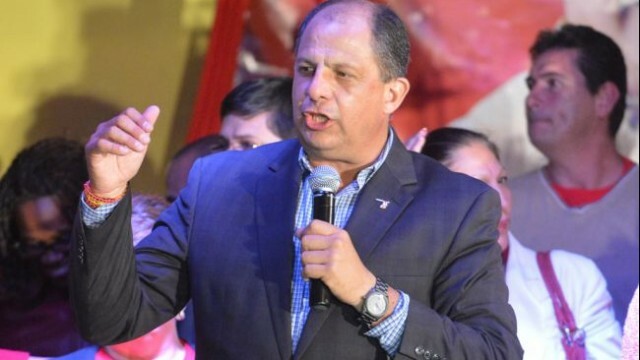 Costa Rica News - His rival – governing party candidate Johnny Araya – dropped out after opinion polls suggested Mr Solis had an unassailable lead. Mr Solis, a historian and former diplomat, has urged voters to give him a strong mandate. He has promised to tackle poverty in the Central American nation. Mr Solis, from the centre-left Citizen Action Party (PAC), finished less than one percentage point ahead of Mr Araya in the first round, held on 2 February. He won 30.64% of the vote while Mr Araya of the conservative National Liberation Party (PLN) polled 29.71%. To avoid a second round, either candidate would have needed 40%. On 5 March, an opinion poll suggested Mr Solis had the support of 64% of voters with his rival lagging behind with 21%. This prompted Mr Araya to give up his presidential bid. He said proceeding would be a waste of money. “It is only prudent not to spend millions on publicity, meetings and other events. We will respect the constitutional provisions, but I will refrain from any electoral activity,” he told reporters at the time. However, Costa Rica’s constitution does not allow candidates to pull out, so Mr Araya’s name will still appear on the ballot. Mr Solis, 55, has criticised corruption in the government of Laura Chinchilla, Costa Rica’s first female president. He has promised to introduce tax reforms to reduce poverty in Costa Rica, one of the most stable democracies and strongest economies in the region. Analysts said his main adversary might be absenteeism on election day. With a minority in Congress, his position would be weakened if he failed to attract as many votes as he received in the first round.